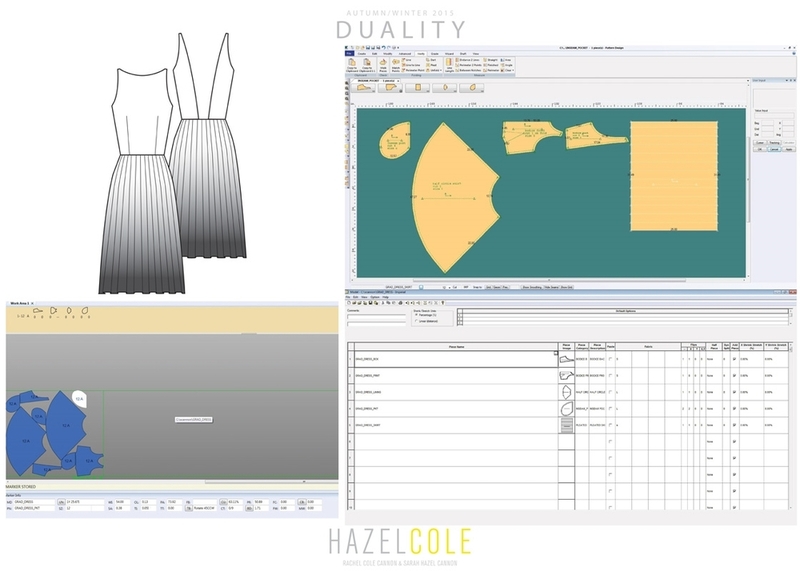 These images show the process and design of the collection Duality by Hazel Cole. 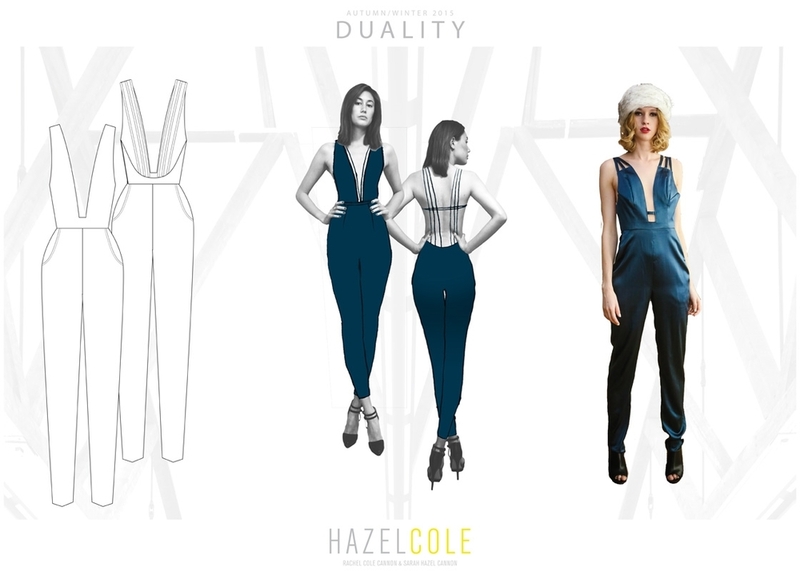 The images shown are done by Sarah Hazel Cannon. 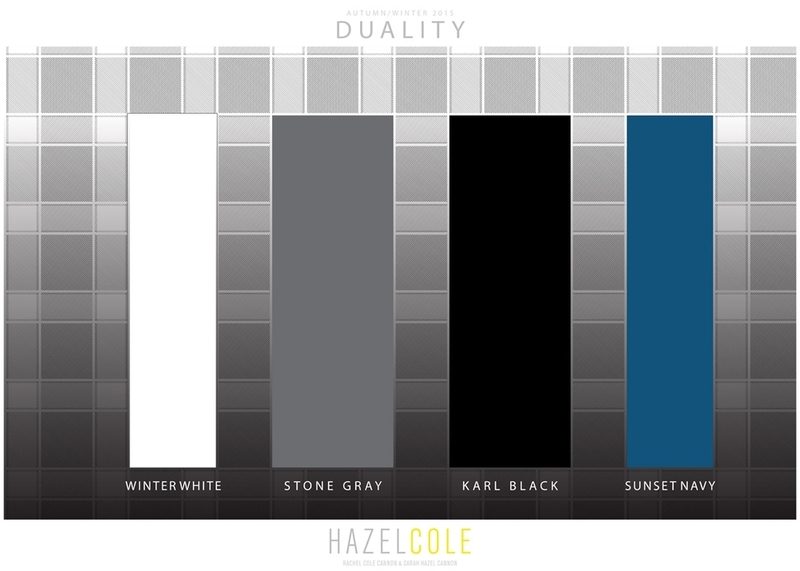 Boards consist of Mood Board, Colors, A selection of fabric swatches, stylized sketches, technical garment flats, a look into gerber patterns. For images of the collection please click here. 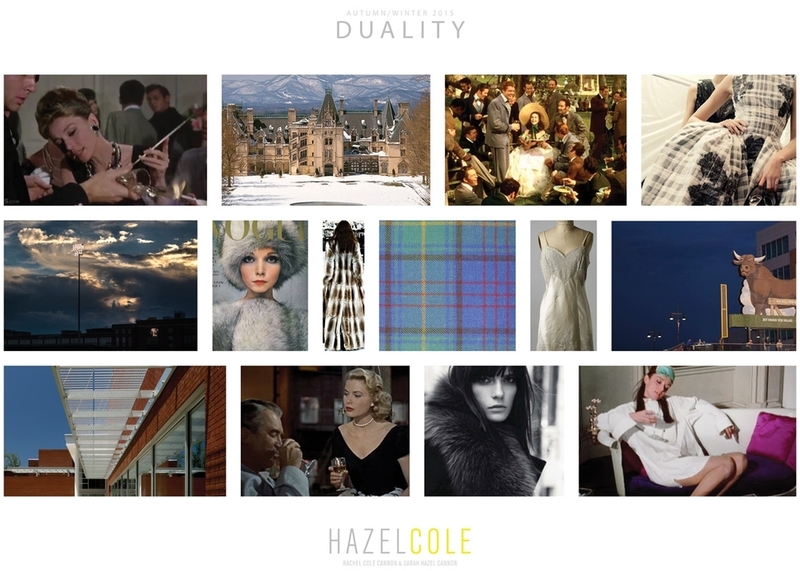 Collection completed by Hazel Cole (Rachel Cole Cannon and Sarah Hazel Cannon).